The global economy turned down in earnest already in 2006 but with a massive worldwide printing and lending programme, the world has had a temporary stay of execution. But the effect of this fabricated money has now come to an end. And what else would you expect. To print money that has no value or to lend money that doesn’t exist can never create wealth or save anybody. The downturn will soon start to accelerate and eventually lead to a total failure of the financial system and sovereign defaults. But no one must believe that there will be a sudden implosion or a “reset” that solves or changes everything. Instead, what we will experience is a process with things deteriorating at a fast pace but without one single event that overnight changes everything. It is actually happening all around us right now. Let’s just look at some examples of the stresses within the system. The ECB is facing bank failures in almost every member country. An Austrian bank just had to be bailed-in and the whole Italian banking system is on the verge of collapse. The Greek banks are already bankrupt although no one dares to declare it officially. The ECB knows that they only have one tool left to temporarily postpone a breakdown of the European banking system and that is to further increase its money printing programme. Only in the last 15 months, the balance sheet of the ECB has exploded by 45% to Euro 3 trillion. The Bundesbank, the German central bank, is totally aware of the predicament of the European banks. But they also know that they will be on the hook for the majority of the money printed by the ECB and therefore they have indicated that they will sue the ECB if it accelerates money printing. The Fed is not printing money currently but in my view it is only a matter of time before we see a major QE programme in the US due to a deteriorating economy and a financial system under pressure. US outstanding derivatives are at least $500 trillion and most of that will just implode as counter-party fails. The Fed and the FDIC are concerned about this and that is why they just issued a warning to US banks. They told JP Morgan for example that the bank is unprepared for a crisis and that they have no plans for winding down their derivatives. JP Morgan’s derivatives exposure, properly valued, is probably in excess of $100 trillion. Another major US problem is the Treasury market. There is a total of $19 trillion debt owed by the US government. Of this amount $6.2 trillion is owned by foreigners. China and Japan hold around $4.5 trillion in total. The third largest holder is Saudi Arabia with $750 billion. And Saudi Arabia has now threatened to liquidate their holdings if the US probes Saudi Arabia’s role in the September 11 attacks. But Saudi Arabia is not the only country that could cause chaos in the US treasury market. Japan will soon need to sell its US treasuries to survive temporarily. 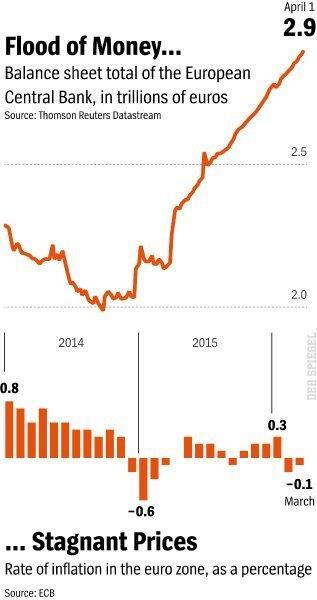 And China is also under pressure to reduce the over $30 trillion in outstanding debt, a debt which was only $2 trillion in 2000. Many observers will say that these countries will shoot themselves in the foot if they dump US treasuries since that will start a massive collapse of the treasury market. 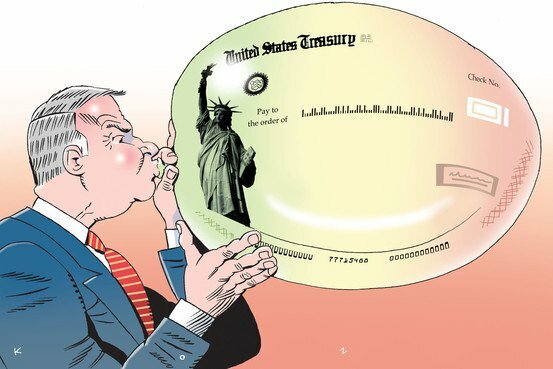 It is perfectly true that US treasuries is one of the biggest bubbles in markets today especially since the US will never repay this debt. The big foreign holders are of course aware that they will never be repaid with real money. They also know that the dollar is massively overvalued and likely to decline substantially. So whether they sell their holdings today, thus depressing the price, or wait until both treasuries and the dollar are worthless is one of these choices that will always be LOSE – LOSE. There could be a first mover advantage, especially since the only buyer is the US government and they would clearly try to accommodate the first selling country by just printing more money. But thereafter all hell will break loose and it will be too late to run for cover. Japan is in a total mess too. The Bank of Japan will in 2017 own a staggering 50% of all Japanese government bonds and that will increase to 60% in 2018. How can this country ever believe that their economy will survive? They are printing unlimited amounts of worthless paper and it is having no beneficial effect on the economy. I have said it before and I will say it again, that the Japanese economy will sink into the Pacific in the most gigantic bankruptcy. So most central banks and sovereign governments are virtually bankrupt but so are commercial banks. Their share prices are definitively telling us that. Most major banks’ shares are down between 75% and 90% since 2007. Deutsche is down 87% and Citi 92% whilst Credit Suisse and Barclays are “only” down 78%! The massive falls in all major banks’ share prices are clearly telling us that these banks are unlikely to survive. If we look at global company profits, they are down 20% in mature markets and 25% in emerging markets since 2014. And so far we have seen global corporate defaults of $50 billion in 2016 which is the biggest since 2009. It is all happening in front of our eyes right now. No one should wait for a major event because it will be a series of events as I have described and it has already started. It is time to take protective measures right now. The need for insurance against these risks is greater than any time in history. Physical gold can still be bought at a bargain price but not for much longer. Tagged debt implosion, systemic risk.